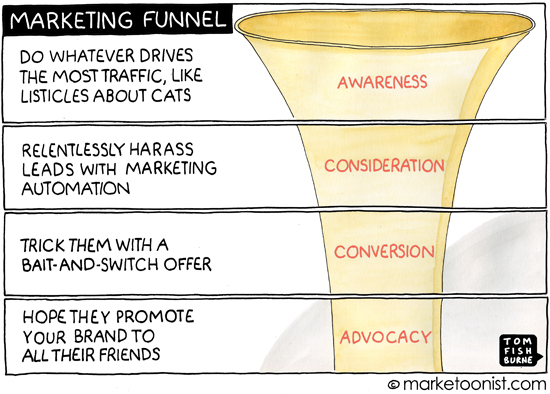 Many marketers have funnel-vision. We learn to see our customers in a linear path. 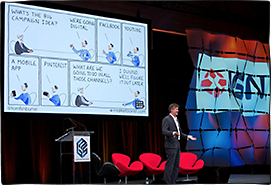 Our job is to systematically move customers from step to step. The rise of data-driven marketing has made it easier to measure and improve the performance of each stage. In theory, this model keeps marketers focused on activities that lead to results. In practice, the funnel can be transactional and short-sighted. The funnel can lead marketers to heavy-handed tactics, like click-baiting, spam, or bait-and-switch offers. We have to be really careful which metrics are ultimately the most important for the business. What drives a conversion may not be the best in the long-term for the brand. It can also lead businesses to overlook the value of existing customers in favor of new user acquisition. This cartoon and post was partly inspired by an article (and doodle) from MailChimp founder, Ben Chestnut, where he compares the classic marketing funnel to a meat grinder. 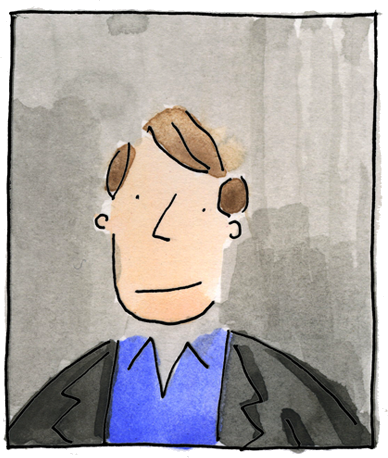 He advocates flipping the funnel (an idea long touted by Seth Godin, Joseph Jaffe, and others). I’d love to hear your thoughts on working with marketing funnels. I completely agree with this approach – we have entered an era where “new is good” resulting in a forgetting of the old…in this instance, our current customers; if we take the old adage, ‘it’s easier to convert a new customer through word of mouth’ we appear to have forgotten the ‘word of mouth’ bit – delight existing customers and they will tell their friends, which will drive new customers; failing to take care of existing customers, in the chase for new customers, will see the funnel turn into an open sieve! 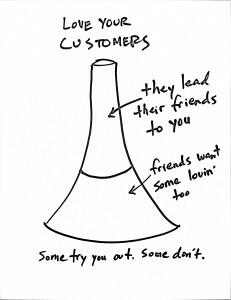 For a long time I’ve thought that funnels are just evidence of really lazy marketers. I do love the idea of flipping the funnel on its head, and really making your customers the focus rather than trying to push everyone through your own linear idea of the conversion process. 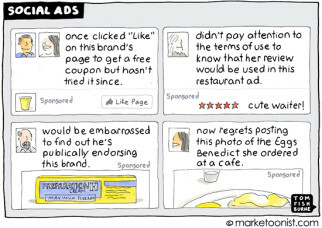 I guess that marketers are afraid that taking the funnel away suggests that the need for marketing might disappear to? The root of the problem is that in a large organization you’re going to have silos and delineated roles and responsibilities. The VP of marketing would love to improve the customer experience to get more work of mouth. But the operations department would rather focus on cost cuts, which are measurable. Within the marketing department, the manager of awareness is measured by how many new people get connected to the enterprise, regardless of how well those convert to customers. And Joe who is responsible for the Facebook page is measured by how many new likes it gets, even if they are people who are already aware of the company because they’re on the Twitter feed. With large enterprise customers, some companies have a relationship manager that hears everything that happens between the company and the customer. That manager can get the complete picture, smooth any rough spots, and figure out what marketing works best. Maybe there needs to be something similar for market segments. Nothing wrong with the funnel as long as you do not develop funnel vision. I think that accountability is key. Are we holding the marketeers feet to the fire? I bet they would not get lost in the funnel if their job was on the line. Business owners and shareholders are at risk. What hapenned to the CEO as marketing manager? If this is not an option then I would look at other ways to bring marketing closer to the action. This is why I always like to optimize on actual sales. 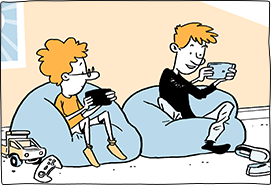 “mini optimizing” each step results in the comedy of errors which is the subject of this cartoon. What I often see being the root cause is poor data quality and broken internal incentives. For instance, maybe marketing can only get measured based on “leads”, and so they do whatever it takes to get more leads, regardless of whether those leads convert or are quality leads. In reality, it’s often much better to get fewer, but higher quality leads. Even better is to deeply understand the problem you’re solving for your customer, and figure out how to a) do a better job for them and b) get more people like them. Will share with my marketing students for a) laughs, b)lessons. I have begun focusing on another flip the funnel, focus-on-the-customer strategy—internal marketing. Marketing on the inside of an organization mirrors what is conveyed on the outside in an effort to minimize marketing manure and maximize customer acquisition and retention. Internal marketing changes the equation, making marketing (emphasis on value and exchange)the job of everyone in the organization. With social media exploding–words gone wild and visuals viral—marketing leaves too much on the table when employees are not allies, even foes. Here is the rub: The Marketing Department’s boundaries don’t allow it to trespass inside the organization, and when it tries to coordinate internal communications, runs into a brick wall of people, human resources and staff. Well… I came here for the signed cartoon print… JK. 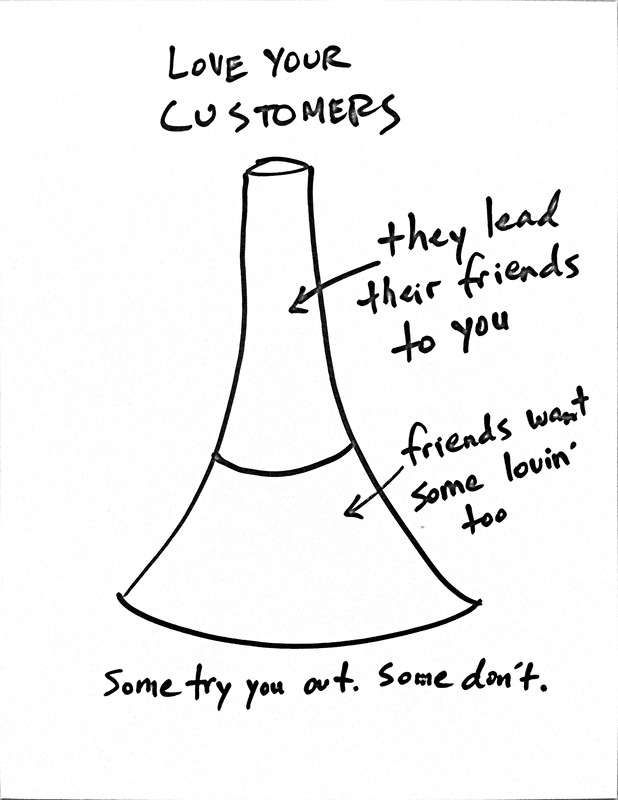 Actually, a simple flip at the funnel is a HUGE change of perspecive. Great to see you back Tom, if 2015 is as productive for you as was 2014 we are all in for a treat. The sales funnel model is useful, but like all models, is wrong, as the nuances of behavior are never accurately captured, best that can be done is a generality. As with Jeff, I have written a bit about this topic, trying to develop real understanding of customer behavior with those I work with. I came here because the signed cartoon print… just Kiddin’. Well, this is a very cool perspective of the funnel. A simply flip is a huge change. I appreciate Ben’s analogy, but “meat grinder” is too merciful a fate for what too many sales funnels do to prospects. Maybe pitcher plant? Sarlacc pit? The smallest businesses typically don’t have a funnel. One of my greatest challenges is trying to get them to understand developing a relationship with your buyers is more important than focusing on search traffic. If they would put their customers first they would cease to be a commodity seller and not be as at risk for loss of search traffic. P.S. 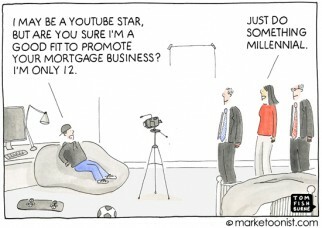 Love this cartoon and your insights, too. Saw it on Inbound.org. This sounds good, but here’s reality. The vast % of your customers, no matter how good you treat them, will never refer anyone to you. A small percentage of people are the type that refer. So do the math and you get a declining amount of customers. You have to add strangers, not just referrals, or the flow of new customers dies out. Also consider the refered person. A referral is many times not enough. You need a referral, then a steady stream of advertising, to get you motivated to try something new. I appreciate MailChimp’s focus on customer service and the inverted funnel, but it doesn’t explain how they recruited customers in the first place.